Rhinoplasty history is facinating. It originated in India thousands of years ago. Around 500 BC, Sushruta, one of ancient India’s most noted physicians and is today often described as the ‘father of surgery’, wrote a treatise on rhinoplasty in a Sanskrit medical text called Sushruta Samhita, found in one of the four Vedas- the Rigveda, the Samaveda, the Yajurveda, and the Atharvaveda. All the four Vedas are in the form of shlokas (hymns), verses, incantations and rites in Sanskrit language. Sushruta Samhita is believed to be a part of Atharvaveda. Sushruta’s system, which involved using a flap of skin from the forehead to rebuild the nose, is still the basis for many of today’s procedures and is still called the Indian forehead flap rhinoplasty. In ancient India, nose amputation was commonly used as punishment. Sushruta and his followers reconstructed the noses of those so mutilated. Sushruta, who resided in Varanasi, the holiest of the seven sacred cities of Hinduism, on the Ganges River in northern India, developed many techniques and implements for surgery. The Sushruta Smahita text, not only detailed medical procedures, but also identified and gave the treatment for several diseases. Sushruta described heart pain, hypertension and leprosy. He was also the first to identify obesity as the cause of many medical ailments. The works of Sushruta and Charaka another famous Indian physician were translated into Arabic during the 8th century as knowledge moved westward along the silk/spice route. Then the texts made their way to Italy in the 15th century where the Branca family of Sicily became famous and wealthy by practicing reconstructive surgery of facial mutilations including rhinoplasty. In mid 1500′s Guilio Cesare Aranzio, a professor of surgery and anatomy at Bologna, held classes in rhinoplasty and probably was an influence on Gaspare Tagliacozzi. Tagliacozzi, professor of surgery and anatomy at the University of Bologna, published De curtorum chirurgia to instruct surgeons on reconstructing noses and ears. It is the first published work on plastic surgery. The work’s twenty-two plates depict every step of the process of rhinoplasty and are among the best-known illustrations in the history of all medicine. Shown here is the patient, immobilized in a vest of Tagliacozzi’s devising, waiting for the skin flap from the arm to adhere to the nose. The process was supposed to take two to three weeks. The method has largely been superceded by nasal skin flaps located closer to the nose nowadays. Tagliacozzi, considered by some to be the “father of plastic surgery”, developed a technique of transfering forearm skin to repair an amputated nasal tip. He published 47 pages of illustrations and guidelines for reconstructive surgery in 1597, two years before he died. Unfortunately his techniques were not continued and rhinoplasty stopped being performed in Europe for the next two centuries. Joseph Constantine Carpue (1764 – 1846) , a British medical army officer spent 20 years in India during the British rule. He was introduced to the Indian forehead flap rhinoplasty there. Carpue returned to England and published in Gentleman’s Magazine in 1794 his discription of the Indian forehead flap rhinoplasty. This started the revival of rhinoplasty in Europe. During this time all rhinoplasty was for reconstructive reasons; it wasn’t until after the introduction of reliable general anesthesia (1846) that interested developed in cosmetic or aesthetic rhinoplasty. John Orlando Roe (1848-1915), an Otolaryngologist from Rochester, New York, is the ‘father of aesthetic rhinoplasty’. He performed the first intranasal rhinoplasty in 1883 for cosmetic reasons only. Four years later he again made history, by publishing an original article entitled The Deformity Termed “Pug Nose” and its Correction, by a Simple Operation (1887). describing the endonasal hump removal in five patients, as well as the use of a spring wire for internal splinting of the nose. Cosmetic rhinoplasty has started. The classical method of rhinoplasty is called the closed approach rhinoplasty. It was developed by Professor Jacques Joseph (1865-1934). Dr. Jacques Joseph was one of the most important surgeons of modern rhinoplasty and facial plastic surgery. He was a talented doctor who had excellent surgical know-how and also an artistic feeling for form. He established the intranasal techniques of rhinoplasty. He believed in the dual roles of rhinoplasty in the improvement of function and of form, and believed aesthetic or cosmetic rhinoplasty surgery was a medical task. Dr. Joseph was a famous teacher and an inventor in the field of rhinoplasty. With his famous textbook Nasenplastik und sonstige Gesichtsplastik (Rhinoplasty and other Facial Plastic Surgeries, 1928), he established his outstanding personality in the history of rhinoplasty. Surgeons from around the world travelled to his Berlin operating room to learn at the feet of this master rhinoplasty surgeon. Although he welcomed surgeons, even Americans (remember this was after Germany’s defeat of World War I), to come and watch him perform rhinoplasty (for a fee), he was secretive about his rhinoplasty instruments and kept them hidden under a surgical towel. As rhinoplasty was done under the skin and through the nostrils, it was difficult for anyone to carefully regard his rhinoplasty tools. Particularly because he would quickly move the instrument from under the surgical towel into the nose. The story goes that one young, handsome American surgeon was able to see them in the deserted, darkened operating room and make detailed notes late one night after he wined and dined the professor’s favourite scrub nurse. This is how rhinoplasty know how was transferred across the Atlantic in those days! Dr. Irving Goldman (1898-1975) an Otolaryngologist and an early and prominent Facial Plastic surgeon, was one of several American surgeons who had returned from Europe after studying rhinoplasty. Between the world wars it was difficult to gain privileges to perform rhinoplasty surgery in the United States of America. Dr. Goldman obtained surgical privileges at Mount Sinai Hospital after performing successful operations on the Chief of Medicine’s two daughters. Dr. Goldman then went on to create and teach an annual and popular rhinoplasty course held at Mount Sinai Hospital. The focus of the course was the “Goldman Tip,” a rhinoplasty technique that is still used by surgeons today. He was the first President of the American Academy of Facial Plastic and Reconstructive Surgery in 1964. Dr Jack Anderson (1917-1992) another American Otolaryngologist was a very influential master rhinoplasty surgeon from New Orleans. Initially dismissing the open approach technique of rhinoplasty for several years, he reversed his opinion publically in an article called Open Rhinoplasty: An Assessment (1982). A second method of rhinoplasty, called the open approach rhinoplasty, originated in former Yugoslavia by Professor Ante Sercer (1896-1968) who advocated the “decortication of the nose” (Dekortication des Nase, 1957) technique which featured a columellar incision that allowed greater access to the nose than through the nostrils. The incision under the nose allowed the skin of the nose to be lifted back during the surgery which allowed for unparalleled exposure of the underlying structures of the nose. His student and successor, Professor Ivo Padovan (1922-2010) introduced it to surgeons outside of Yugoslavia and the technique was subsequently popularized around the world by Dr. Wilfred Goodman of Toronto. Dr. Goodman recalls attending the first international conference of Facial Plastic Surgery held in New York city in 1972. On the last day of the meeting, the last presentation was given by Professor Padovan. By this point the meeting hall was empty as most attendees had left for drinks, dinner or to catch a plane. However Dr. Goodman and a small hand full of others remained. By the end of Dr. Padovan’s talk, Dr. Goodman realized how revolutionary this new rhinoplasty method could be. He returned to Toronto and the following year he published his experience in an article entitled External Approach to Rhinoplasty (1974), He continued to champion the open rhinoplasty method against vociferous opposition for many years. The then current leaders in rhinoplasty initially objected and then ignored ‘the Toronto technique’. At surgical meetings his presentations would invoke comments like “There is nothing you can do with an external approach, I can’t do with an endonasal rhinoplasty.” Eventually the surgical world came to realize how powerful this rhinoplasty technique was and it has become the method of choice for many nose surgeons today. 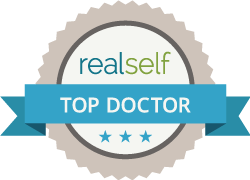 Dr. Goodman is now recognized internationally as a true pioneer and innovator in the field of cosmetic and reconstructive rhinoplasty. In many ways it put Toronto on the surgical map as a place to visit to watch Dr. Goodman perform his new type of rhinoplasty. Many of the subsequent advances in rhinoplasty are due in large measure to his introduction of the open rhinoplasty to the world. Dr. Goodman is now retired from his Toronto practice, but I was fortunate to train under him and then share his practice in Toronto for many years.